This article is part of our special report What is the potential of combination vaccines?. 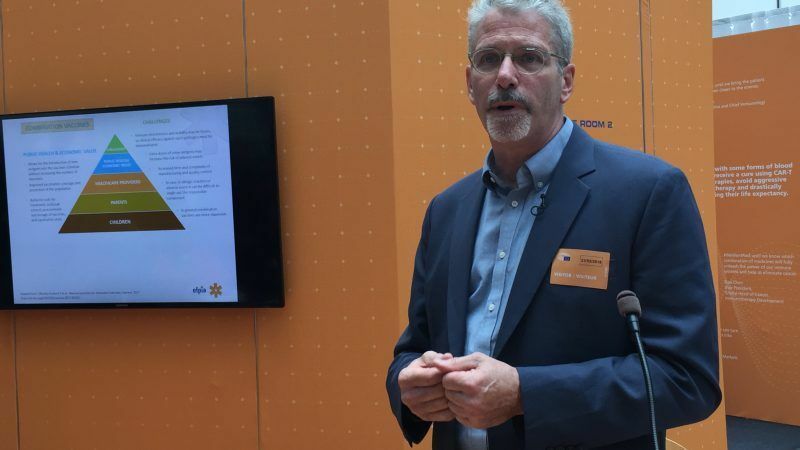 The use of combination vaccines can bring about better vaccine coverage and this will improve protection of the public against vaccine-preventable diseases, reduce treatment costs and help prevent outbreaks that would otherwise occur, Mel Kohn told EURACTIV.com. 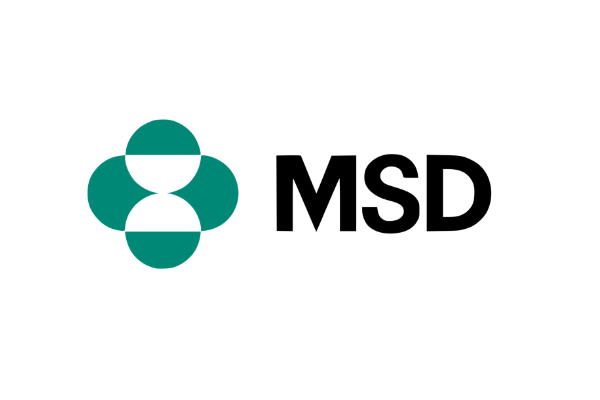 Mel Kohn is the medical director at the MSD pharmaceutical company. He replied to EURACTIV’s questions in a written interview. What are the main benefits of combination vaccines for struggling EU public healthcare budgets? Combination vaccines are commonly used in Europe to tackle a host of infectious diseases. These include mumps and rubella vaccines and vaccines combining four, five or six vaccines (such as Diphtheria, Tetanus acellular pertussis (whooping cough), Hepatitis B, poliomyelitis (Inactivated polio vaccine) and Hemophilus influenza type b causing bacterial meningitis, known as DTaP-HB-IPV-Hib). The use of combination vaccines can help improve vaccine coverage, by combining more than one vaccine to be administered, thereby improving the protection of the public against vaccine-preventable diseases. This, in turn, helps reduce costs for treatment of these diseases and the costs of managing outbreaks that would otherwise occur. Benefits of using combination vaccines in healthcare settings include lower costs because of fewer vaccine administration charges, and potentially fewer office visits. In addition, in most countries where pediatricians are the primary vaccinators for children, procuring and storing vaccines are among the top overhead expenses for pediatric practices. Using combination vaccines reduces the overhead required to purchase and manage the storage of vaccines. What is the pharma industry doing to address any glitches in the complex development of these vaccines and to maximise safety? 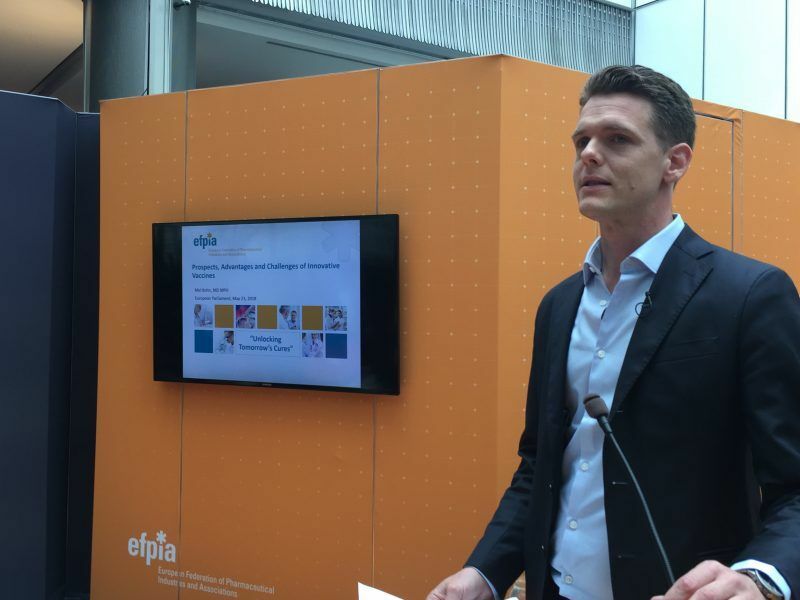 Manufacturers are required by the EMA to carry out extensive and expensive clinical studies of combination vaccines in order to demonstrate their safety and efficacy. Once these vaccines are registered, manufacturers must perform rigorous quality control testing of their manufacturing process, and respond to any issues that arise. If any faults are detected the entire batches of vaccines involved are discarded and the process starts again from scratch. 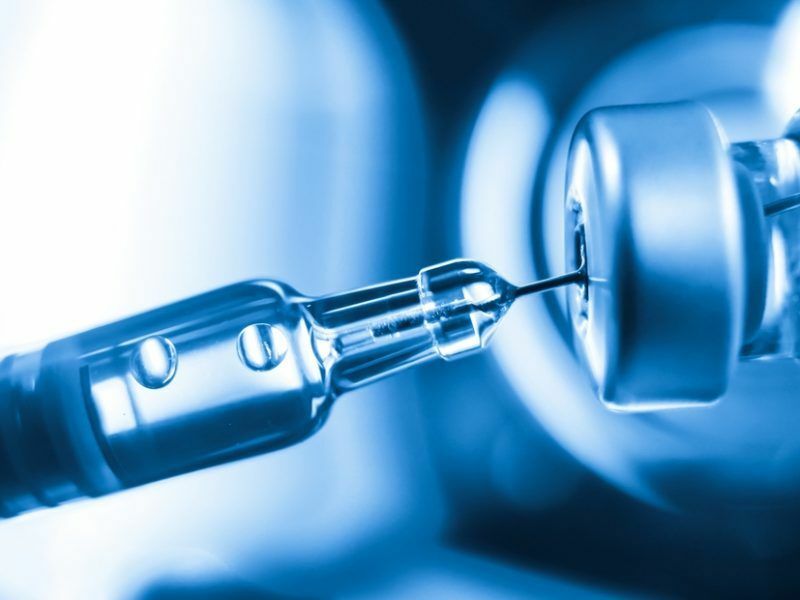 Approximately 70% of the time required to manufacture a vaccine is due to the time it takes to perform quality control testing, and this is one of the most important reasons why it can take up to 3 years to manufacture a dose of these vaccines. How could combination vaccines help improve immunisation rates across the EU in view of increased vaccines hesitancy? In addition to protecting against several vaccine-preventable diseases, the use of combination vaccines reduces the number of injections required. Parents may, therefore, be more likely to accept having their children vaccinated since we know that for many parents the logistics of taking their child to get vaccinated can be difficult. By reducing the number of visits required, thereby improving convenience for the parents, combination vaccines can also help address this barrier to vaccination. A good example from France illustrates how combination vaccines may help improve vaccine coverage. French health authorities first recommended hepatitis B vaccination of infants in 1995. Despite this longstanding recommendation, in 2007 France was among the lowest ranked European countries for hepatitis B vaccination coverage of infants. In 2008 France began to reimburse a hexavalent vaccine containing Hepatitis B, and this change was associated with an increase in the percentage of French infants who completed the recommended three-dose regimen for Hepatitis B by two years of age from 33.8% in 2008 to 71.9% in 2011. The manufacturing of combination vaccines takes time but it’s also costly. Is this reflected in the final price of vaccines? Because of the complexity of developing and manufacturing combination vaccines, they tend to be more expensive than monovalent vaccines (vaccines against just one single disease). However, the combination vaccines generally are cheaper than the cost of all of the individual vaccines added together. In addition, the cost of administration is based on the number of injections given, so there are cost savings by giving, for example, one injection of a pentavalent vaccine instead of five injections of individual vaccines. This is part of the reason that 26 out of 28 EU countries currently recommend combined vaccines for four or five diseases as part of their recommended routine vaccination schedule, demonstrating that these vaccines are viewed as cost-effective. On vaccines hesitancy, you recently emphasised the need for political leadership on the issue. Is leadership enough considering public mistrust toward politicians? What should the industry be doing to assist in communicating on the issue? In order for vaccines to be licensed regulators require that they meet high standards of safety and efficacy. Although adverse events will occasionally result after an immunization, the choice of not getting a vaccine carries risk with it as well; in general, the benefits of vaccines far outweigh the risks. The industry has a critical role to play in developing and manufacturing efficacious and safe vaccines and communicating about the value these vaccines can bring. The industry also has a responsibility to investigate and address safety concerns as they may arise. But the industry will not have credibility if it communicates these messages alone. It is essential that all the different stakeholders involved in the implementation of the immunisation programmes (researchers, government officials, healthcare professionals etc. ), as well as the media, provide a strong, consistent and aligned position on the value of vaccination. This will certainly help the public to have confidence in the value of vaccination and trust in the healthcare system. What is your opinion of the European Commission’s new vaccination proposals? Could the electronic vaccination cards help in the direction of a joint member states’ approach on the issue? It’s terrific that the European Commission is so engaged in improving vaccination coverage. Indeed, the recent Commission proposals for a Council recommendation to strengthen European Union cooperation against vaccine-preventable diseases, demonstrate the strong commitment from our policymakers to have better equity in access to vaccination across Europe. I expect their decisions to have a major impact in the region for many years to come. While electronic immunization registries have been implemented in many regions and countries across the world, the creation of a registry that is interoperable across borders in the EU, and includes all age groups, will greatly improve its utility. With such a system in place a healthcare provider will be able to see a complete picture of the immunization history of his or her patients, and accurately assess the need for booster doses or new immunizations, even if a person has moved to a different region or country in the EU. This will also be an important tool to instantaneously monitor vaccination coverage rates and help protect the public should outbreaks of vaccine-preventable diseases occur, such as the ongoing measles outbreak in Europe. My understanding is that the European Commission is moving ahead with the digital transformation of Healthcare and is putting in place several platforms and instruments towards that end. These tools should accelerate the move towards digitalised immunisation records, putting Europe in the vanguard of efforts to improve vaccination across the world.